Are you wondering How to Save Money for Your First Car? There are several advantages to paying cash for a brand new or used motor vehicle. A cash purchase transfers vehicle ownership to you on the spot. An auto loan buyer has to pay up all installments in order to receive their car’s log book. If you want to figure out ways to save for your first car within a year, the first step is enforcing a little self-control. Saving money means denying yourself some comfort in order to attain important goals. Such as owning a car because it will help you get to school and work on time. Now you Know How to Plan for Your First Car in One Year! As a new car owner, you need a lot of time to familiarize yourself with how engines work and how to do minor repairs. Your inexperience could also lead you to do certain mistakes. For instance, signing up for an expensive auto insurance cover. 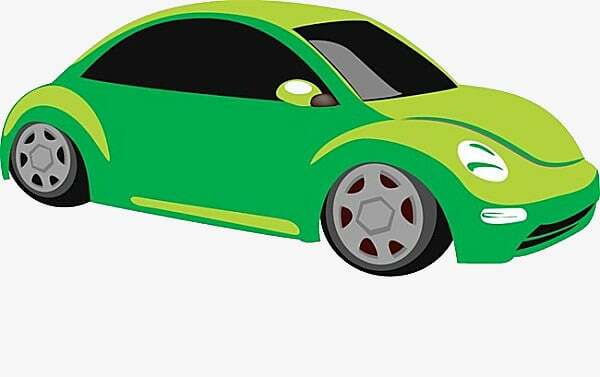 Buying a modest car enables you to pay affordable auto insurance quotes. You don’t want to go broke right after buying your first car due to expensive insurance premiums. Sometimes, you can smash your taillights while reversing your car. It’s easier to get a replacement compared to purchasing spare parts for high-end motor brands. Moreover, you won’t worry about auto theft because thieves prefer premium fuel guzzlers. After visiting several car lots in your city, you’ve figured out the car you want and how much it costs. In order to achieve your goal within 12 months, you need a definite savings plan. You can start by saving 30 % of your monthly income for one year. Let’s assume you make $3,000 a month. Your desired car costs $10,000 and you want to own it within 12 months without borrowing any loan. In order to afford this car, you need to save at least $900. When you do the math, you’ll have $10,800 after 12 months. You can use the extra $800 to pay your insurance for a few months. We’ve discussed creating and implementing a 12-month savings plan. However, in order to save money consistently, you need a decent net income. This is what’s left of your gross salary after paying up your debts and utilities. Increasing your income will prevent you from dipping into your savings in order to make ends meet. Start applying for a better paying job today. If you’re good at designing websites or creating computer software, create a website and become an online freelancer. You can also start a business in college because you have enough time. As a college student, you want to maintain a large degree of freedom as far as your parents are concerned. Perhaps your biggest drive to learning How to Save Money for Your First Car in One Year is because you got tired of constantly borrowing your parent’s car. That’s a strong indicator of self-independence and responsibility. Keep it up. Your parent or guardian wants you to succeed in life. This reason alone should inspire enough confidence within you to approach them for a little financing for your car savings project. No parent can say “No” if their child offers to save up 50% of the car’s price and pay for their own auto insurance. One way of enforcing success in your 12-month savings plan is by hindering or limiting access to your savings. During those long 12 months, you’ll encounter several temptations to break open your piggy bank. For instance, spring breaks, college summer events, and your friends’ plans for the summer holiday. Smart savers own fixed savings bank accounts. They are affordable and have tough conditions to discourage you from withdrawing your money prematurely. Some banks will retain 30 % of your savings if you decide to withdraw your cash before the agreed date. So, if you saved $3,000 and withdrew it after 6 months instead of 12, you lose $900. That’s painful, isn’t it? One way of increasing your net income is by reducing or eliminating expenses. If you take a hard look at your current and previous monthly expenses, you’ll notice some unnecessary expenditure. Especially, those that involve your credit cards. Since you want to maximize your net income, you can reduce your expenses by avoiding credit spending. Credit card debts for college students tend to have expensive interest rates because creditors take advantage of the user’s inadequate credit score. Some credit card companies charge as high as 16%. If you spend $500 dollars on credit every month, you pay $80 in interest charges. The best alternative is switching to a debit card. Owning a debit card will motivate you to save money every month because you need money in your debit card account to pay for goods and services. Once you finally meet your savings goal and buy your dream car, you become solely responsible for your car’s needs. The law states that it’s mandatory for car owners to have auto insurance covers. Since insurance premiums aren’t included in the car’s buying price, you need to save up early. Saving up gas money in advance is a good idea because you never know if prices will shoot up right after you purchase your car. Your savings will provide a decent cushion because you won’t spend a huge portion of your net income fueling your car. Do you earn a low income? Saving up for a new car is better than purchasing a car on credit. A cash purchase keeps your credit score intact while borrowing an auto loan puts you at great risk. It’s also easier to afford important car accessories such as car alarms and GPS tracking systems. Apart from enhancing your car’s safety, installing these car accessories qualifies you for cheap insurance quotes.